Kerio helps small and mid-sized businesses connect, communicate, and collaborate securely. They focus on making technology flexible, accessible, and easier to use by providing safe, simple, and secure business productivity solutions. In 2013 they felt the need to change the traditional way of doing business. With business teams spread across different continents and time zones the inefficiency of using email to collaborate became clear. 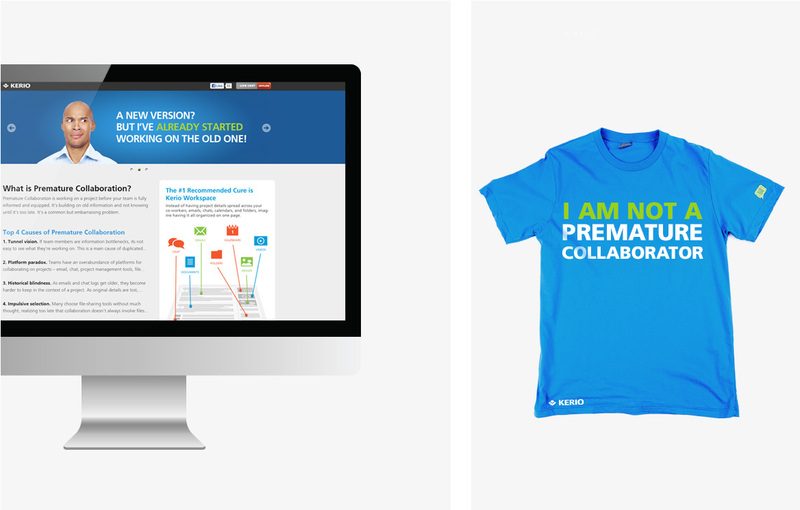 Kerio hired dystrick to design a brand identity for a new collaboration solution called Samepage. After the design of their identity dystrick created a marketing campaign with recommended delivery platforms which included radio, print and digital advertising. Since launch there are over 50,000 organizations using Samepage to make working together a whole lot easier. For more information, please contact us. Ad campaign on billboard off hwy 101, Northern California. 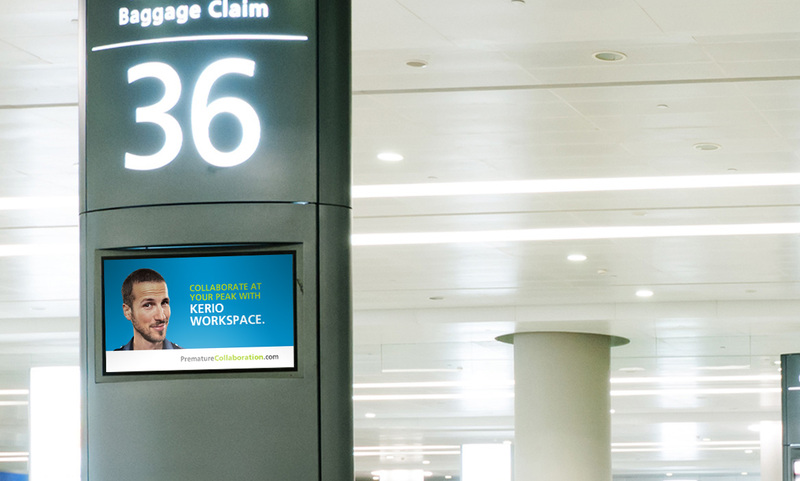 Billboard & digital ad campaign located in the Mineta San Jose International Airport. Print collateral design & printing. 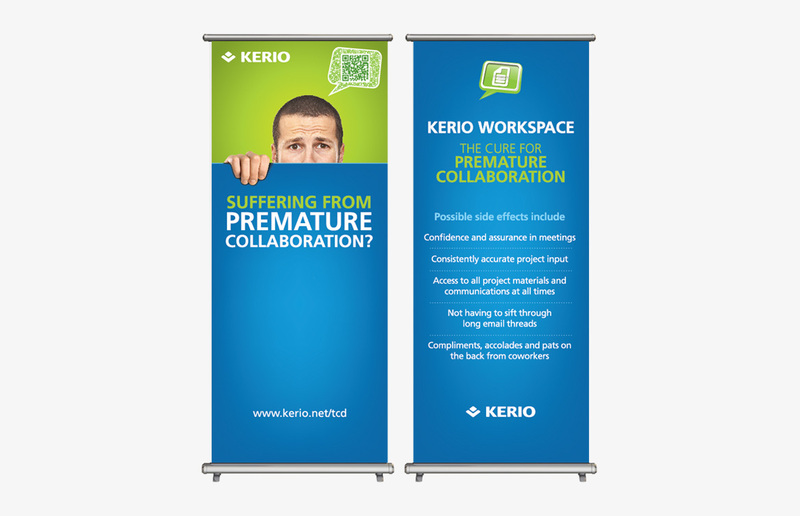 Pop-up banners for tradeshow events. Landing page design & development support + event swag design.